He was staring at her again. Anna Davis never fancied herself as someone in possession of magical powers but she knew without looking the handsome man who had been on every train she boarded since South Carolina was watching her. She stretched in an attempt to not look obvious and glanced over her shoulder. Sure enough, he was looking her way and turned his head as she made eye contact with him. Facing the front of the train car, she held back a smile. 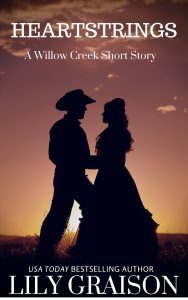 It was just her luck to find a man who acted as if he were interested in her when she was on her way to meet the man she’d promised to marry. Gabriel Montgomery was nothing more than a name on a piece of paper to her. She knew nothing other than he was of modest home and income and had a daughter on the cusp of becoming a woman. What would happen if she never showed up to meet him? Surely he could find another bride. She’d picked his name from the list of prospects in the Grooms’ Gazette. Another woman would do the same given time. Wouldn’t they? The heat inside the train car was unbearable and caused more than one temper to flair. 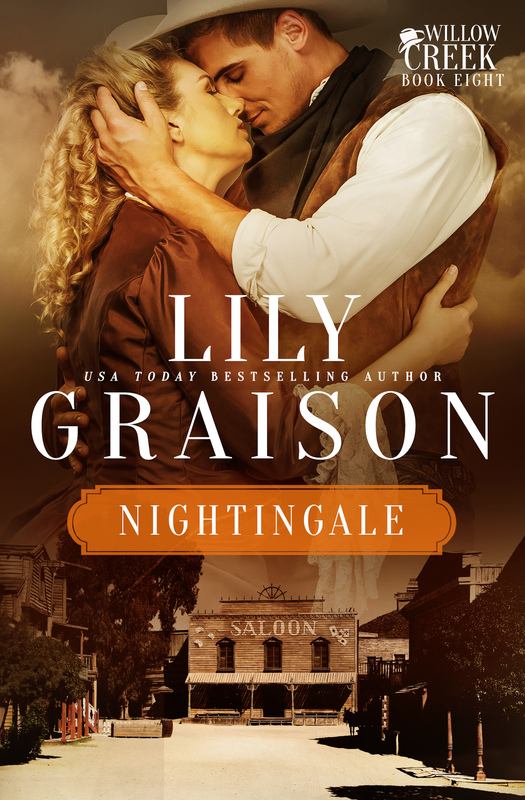 She patted her forehead with a handkerchief again as the two men in front of her yelled at each other across the isle as they’d been doing for the last half hour, the taller of the two raising a fist and shaking it with every word he spat. A baby in the seat across from hers squalled, his mother fussing to quieten him without much success. Anna would bet money no one present had any idea what if felt like to be truly hot. To feel as if your skin was sliding from your bones. These people didn’t know the meaning of discomfort. To have heat blaze across your face so scorching it stole your breath, sweat breaking out on your brow and drying before it could hit your eyes. The moment she thought of that horrible day, the screams echoed in her memories as if she were reliving it all over again. The cracks and pops of burning timber were like war cannons going off in her head. The acrid scents of charred flesh and yarn, the wooden planks that made up the floor and human hair of those unfortunate enough to not find a way out filled the air and she could still smell it if she concentrated hard enough. She clamped her mouth shut as a scream threatened to escape, the heat inside the car, along with the noise of those fighting around her stealing her composure and causing the memories to resurface again. The two arguing men tore the thoughts from her head as one of them fell backwards, landing on her lap hard enough she squealed, startled at the sudden contact. He’d barely been there more than a few seconds than he was flying across the isle, back into the man who hit him. The scuffle lasted only minutes as more men on the train stood and got the fighting men to calm down. Anna looked up, dazed, but otherwise unhurt. The handsome man she’d been trying to catch glimpses of was right in front of her. His eyes were the brightest green and kindness and a hint of mischief gleamed as he stared down at her. “Yes.” Anna returned his smile. She’d been wondering for hours if he were as handsome up close as he were from a distance and now she knew. He was more so. He stared down at her for long moments before nodding his head at her and returning to his seat. The other passengers began standing to gather their belonging as the train came to a stop. Anna lingered behind, her heart still racing from the fight and those horrible images inside her minds eye that always managed to sneak in at the oddest of moments. She let the memories fade as she tried to calm her racing heart. Nearly a year after the accident and the smallest thing would trigger her memory if it. She blew out a breath, letting the stress of the past year go one final time. After so much worry and doubt, it was time to stop fretting. Her future sat beyond those dusty train windows and she wasn’t going to let old memories tarnish the new life that awaited her. Even if the man she’d promised to marry wasn’t the man on the train she’d found so intriguing. Looking behind her, she sought him out in the crowd of people trying to exit the train. She didn’t see him and searched the scene outside the windows. The train station platform grew crowded with people, loud screeching from wooden cargo boxes sliding down the ramps, luggage and horses being unloaded filled the air with loud bangs and pops. The shapes outside the window blurred, her nerves once again rattled as someone shouted, those standing on the platform screaming before running in different directions. A horse ran past her car, two men close behind it and Anna closed her eyes and inhaled a steadying breath as she tried to gather the courage to stand. It took longer than it should have but she managed to grab her carpet bag and reticule and head to the train car door. 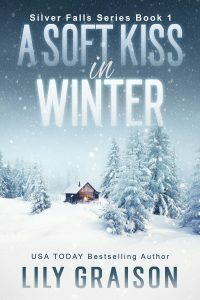 The air outside was filled with the smell of dust, horse manure and a sweet, tangy scent she couldn’t make out. The people who had been lingering on the platform were making their way toward town and she searched the crowd to see if her mystery man was among them. She didn’t see him and wondered if he would once again board the train. Anna stepped down, the wooden platform a solid reminder that this place was her new home and regardless of how much she wished to talk to the man with the green eyes and devilish smile, nothing would ever come of it. She sighed and stopped looking for him, searching the faces of those still standing at the depot trying to figure out which of these men was her groom. She held back a nervous laugh. 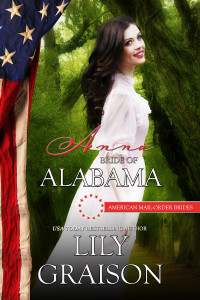 Of all the things she’d ever imagined would become of her, a mail-order bride to a man she’d never laid eyes on was not one of them. Making her way to the edge of the platform, she lifted a hand to shield her face from the sun and took in the buildings that made up the town. From the description she’d received in the letter she assumed the town was much smaller than it was but from what she could see, the streets were several rows deep and many more wide. Anna thanked him and walked back outside. The train whistle blew, the creaking of the cars drawing her attention. She stared into the windows of the train cars wondering if her green eyed admirer was among those traveling on. Not that it mattered. She’d promised herself to a man she’d never seen and she wasn’t one to go back on her word, regardless of how much she really wanted to. He’d lost her. Gabriel ran a hand through his hair and searched the crowd again. He quickened his step, jumped onto a bench on the sidewalk and scanned the passengers from the train who were heading into town. When the last person crossed in front of him he sighed. He didn’t see her anywhere. Did she not get off the train? He glanced back at the station just as the conductor blew the whistle, a thick cloud of black smoke filling the air as the train cars jolted on the track and started moving. “Damn.” He watched the train pull away, his mystery woman with it. He’d seen her the moment he boarded the train in South Carolina. She’d caught his eye with nothing more than a smile and a soft, “excuse me,” as she passed by him. Her accent told him she wasn’t from the south. Her speech was too refined. It lacked the drawl those at home liked to add to their words. He’d followed her movements through the train car and was about to move to the vacant seat across the isle from her when the man who started a heated argument and ended up in her lap sat down in it. Just as well. He didn’t know what he’d say to her had she gotten off the train and followed him into town anyway. An invitation to lunch would have been his choice but then what? He wasn’t in any hurry to resume courting and she didn’t look the type to spend the afternoon with a man she barely knew. So why did he feel so disappointed in missing his chance to speak to her? To find out her name. To hear if her laughter was as sweet as her speaking voice. Picking up his bag he gave one final look at the train and headed toward the livery stable. Coming home a day early had its disadvantages in no one was there to meet him but he’d seen a beautiful woman who had a smile becoming enough to make him want to rethink his ideas on marriage, if only for a few moments. He hired a driver to take him to Laurel Haven, his thoughts never far from the pretty lady on the train. 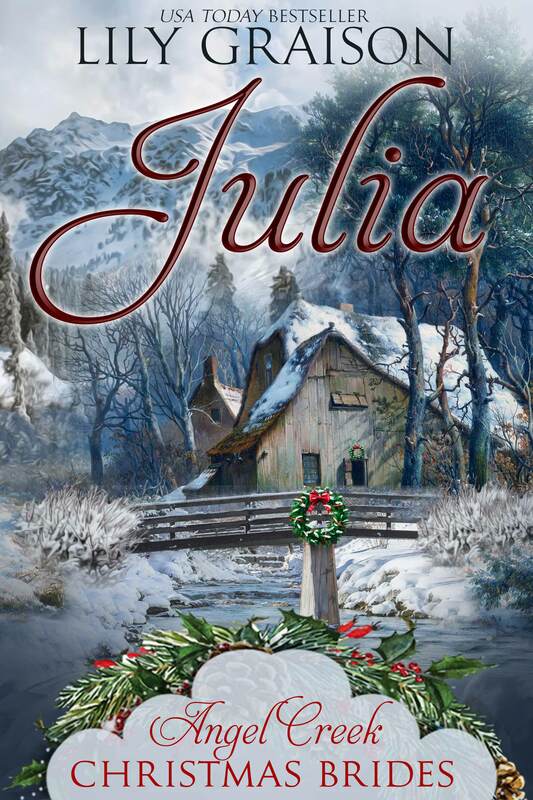 When he saw the plantation house in the distance, he wondered what Julia was doing. Knowing her, she was terrorizing Ruth and running Franklin ragged with her demands. The driver pulled to a stop in front of the house. Gabriel payed him and wished him a good day before heading inside. If he didn’t know better, he’d think no one was home. Not a sound could be heard from the depths of the house. He headed up the stairs to change his clothes and was tempted to stretch out on the bed but resisted the urge. He’d been gone a week. James had probably worked himself into exhaustion by now. Gabriel felt the cold hand of fear slid up his back before he clamped down across his throat. Julia tried his patience on a weekly basis but it was usually petty things that required very little of his time. If the look on Ruth’s face was any indication, this one might be the one to finally do him in. The American Brides Series is a joint venture with 45 total authors representing all 50 states. 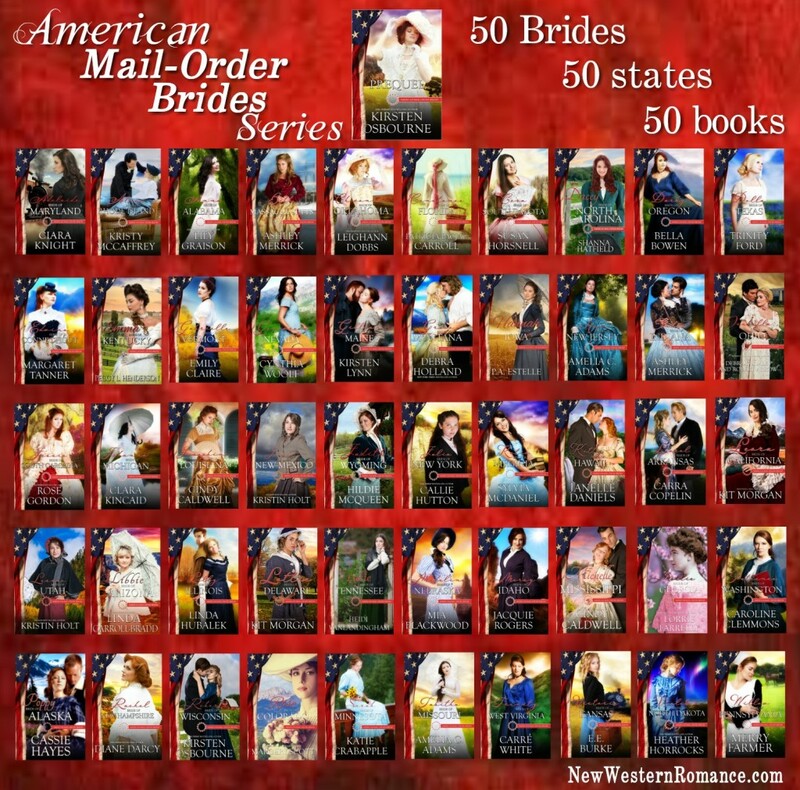 To see the other books in this series, head over to the Official American Brides Website.